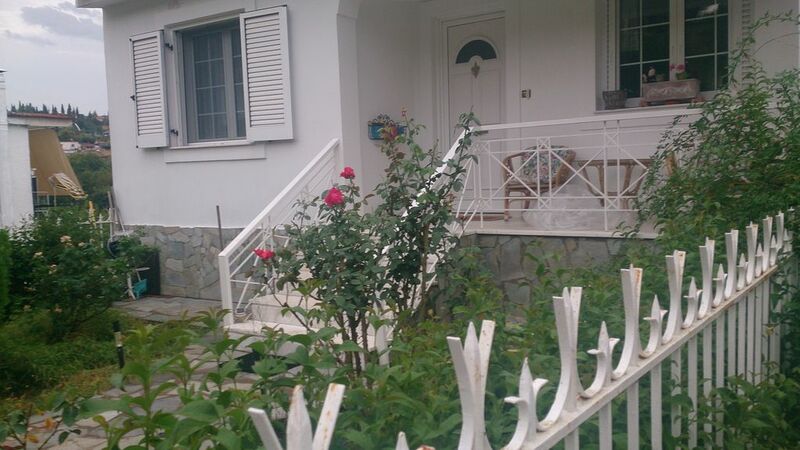 IT'S A WONDERFUL COMFORTABLE AND LUMINOUS APARTMENT VERY NEAR TO FAMOUS EDIPSOS SPA. IT 'S 90 m2 APARTMENT WITH TWO BEDROOMS , TWO BATHROOMS ,SALON WITH FIREPLACE , AND BIG KITCHEN WITH MANY COMFORTS , AT THE END IT HAS 30 m2 BALCONY WITH MAGNIFICENT VIEW AND AT THE FROND SIDE A SMALLER BALCONY . THE APARTMENT IS AT THE CENTER OF MANY INTERESTING PLACES AND BEACHES WITH CRYSTAL SEA WATER AND ALSO HOT WATER TO EDIPSOS SPA . I'M MARRIED WITH TWO CHILDREN ,I LOVE MUSIC AND DANCING , I 'M GRADUATE IN CLASSIC PIANO FROM HELLENIC CONSERVATORY AND I ENJOY TO BE WITH INTERESTING PEOPLE.